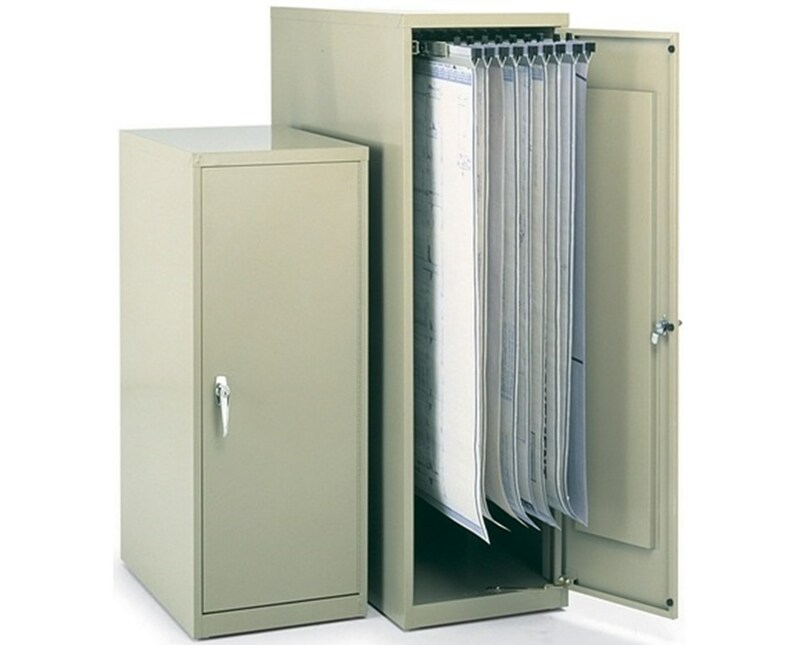 The Safco Vertical Storage Cabinet is a heavy-duty steel enclosed cabinet that can hold up to 1,200 documents in 12 hanging clamps. Using steel ball-bearing rollers, the suspended track slides can easily slide in and out of the cabinet. The door comes with a piano-hinge and can be mounted on the left or right side. 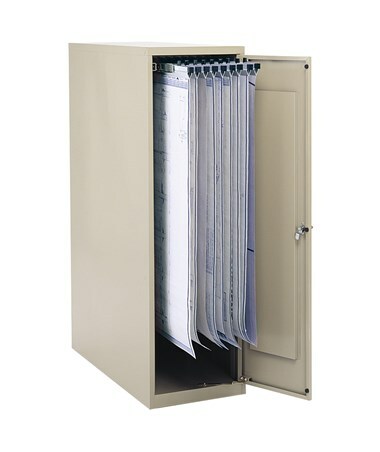 It also secures the documents with the key locked handle. 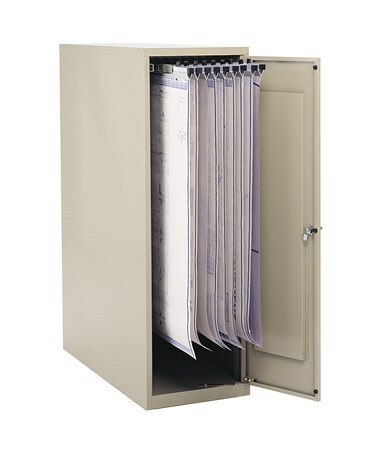 This file cabinet is made of heavy-duty 22-gauge steel with a durable tropic sand finish. No assembly is required for this unit for it is shipped ready to use. It is also GREENGUARD certified which assures that it is safe for indoor use and does not emit harmful chemicals. 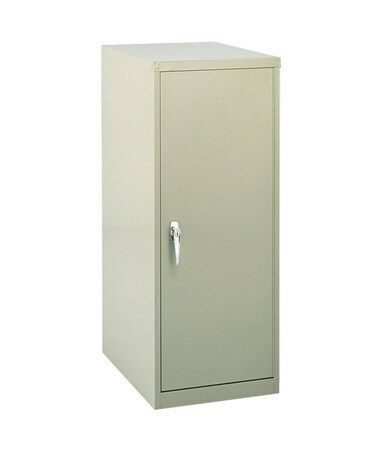 Please Note: Vertical storage cabinet only. 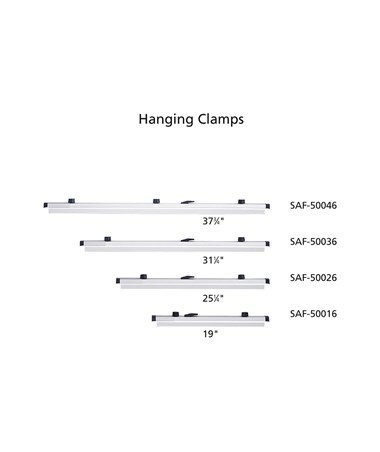 Hanging clamps are sold separately. 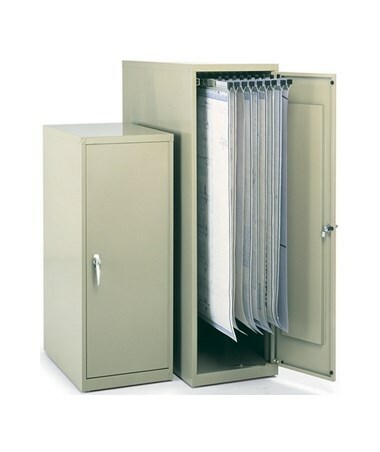 The Safco Vertical Storage Cabinet offers two models of varying sizes. Please select your preference from the drop-down menu above.